If you would like to simplify the vehicle purchasing process and get started on financing before you come to our dealership, you are in the right place. To get started, all you have to do is fill out the form below with a few details, and one of our finance specialists will contact you with additional information. That way, you can expedite the finance process and get on the road as quickly as possible. As always, all the information you provide is sent over a secure network, so you won’t have to worry about your personal info being used for anything other than securing your loan. 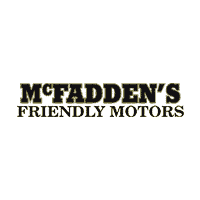 If you have any questions before you continue, please feel free to contact McFadden Friendly Motors using the form on our website. If you would like to reach out by phone, you can do so anytime during our posted business hours by calling (877) 589-6292.